Ever wondered why some dogs act like couch potatoes while others are natural Olympians? Breed type is often to thank (or blame) for Fido’s feisty (or lazy) behavior. 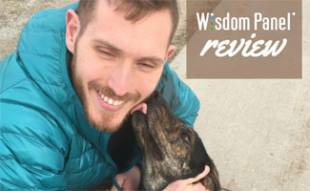 While good looks and personality are important, you should also take into consideration each breed’s energy level so you can make sure his or her exercise levels are adequately met given your lifestyle and location. We’ll discuss the various low energy dog breeds as well as the high energy dogs too so you can learn which breed is a good fit for you. First off, why should a dog’s energy level matter to you anyways? Because you’ll be the one taking care of it and if you’re a good dog owner you’ll also be the one getting off your tail to play with it. 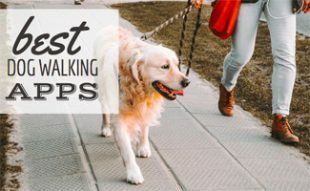 So, the calmest dog breeds make great pets for people who only have time for an occasional walk, and low energy small dogs are perfect for those with smaller sized apartments. On the other hand, high energy dog breeds would be ideal for large families or people who like to go on runs and wish to take a companion with them. 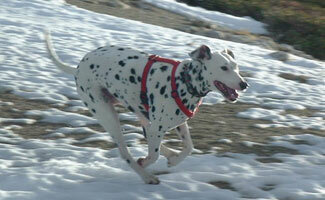 You might be surprised to find that low energy dog breeds aren’t necessarily all small dogs. For instance, despite their large size and being known for their racing skills, Greyhounds are among the world’s most lazy dog breeds. Low energy small dogs exist too but don’t fall prey to the assumption that all small dogs are lazy or calm dogs. 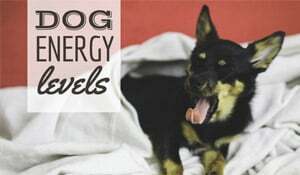 Now that we’ve explained the reasons you may want to know a dog’s energy levels and set some expectations, you’re probably wondering which breeds fall into which categories. Well, want no longer because we’ve got a list of the calmest dog breeds for you. 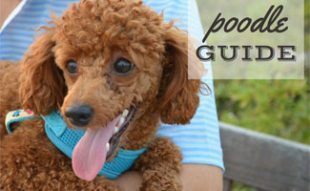 This two and a half minute video from the American Kennel Club shows some of the best dogs for apartments in action (many of which happen to be low energy dogs too). On the other end of the spectrum are the highest energy dog breeds. 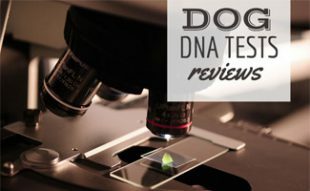 As you might suspect, most of the higher energy dog breeds are traditionally working dogs and have roots that tie back to an energetic activity or sport. Just because they’re not working for you doesn’t mean they don’t still need plenty of exercise, though. If you have a dog with lots of energy, you’ll need to give them lots of room to play and keep them entertained with toys (luckily we’ve reviewed the best dog toys for you). Is Your Favorite Breed Listed? If we didn’t list them in either the high or low energy dogs lists above, then it’s probably safe to say they fall into the medium energy dogs category. Learn more about picking the right dog breed. Do you have the energy for a high energy dog? Most of the low energy breeds listed look frenetic in comparison to our Newfoundland. I have a King Charles Cavalier and she’s pretty low-energy. Try to take her on walks since she’s getting a little heavy (she’s just too darn cute I can’t help but feed her treats all the time) but she gets tired after we go around the block. 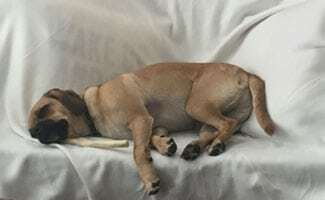 Anyone else have tips for low-energy dogs? Try cutting back on treats. If you’ve don’t feel that is possible, pay attention to the fat percentage in the treats you give her. Anything good above 8% is high so keep an eye out. Also see if you can get her more walks throughout the day as this would likely give her motivation to spend more time walking. More walking, less lazying around therefore less fat. Or maybe a walking buddy (a friend with a dog).